Chiyo is a bright, cheerful and excitable young girl. She has been shown to be very easily influenced, often letting her imagination go wild. For example, she became excited when Mikoshiba first introduced her to Kashima and hugely misjudged their relationship. Chiyo has also been shown, for the most part, to be able to get along with others. Although she is often surprised, and sometimes even annoyed, by many of her friends' odd personalities and antics, she is friendly to them regardless. For instance, even though Yuzuki Seo is often rude to people, she still managed to be friends with her. This may be partly due to her slight naïveté, however, she often cannot tell why people are annoyed by Yuzuki. Outside of school, Chiyo is also passionate about drawing, as she is a member of the Arts club and enjoys helping out Nozaki with his manga. Her art style is very classical and has a lot of detail. Chiyo constantly struggles to convey her feelings to her crush Nozaki. 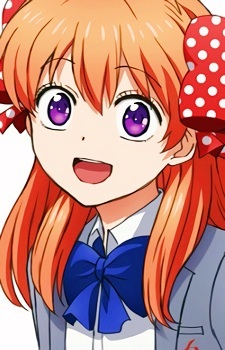 Usually jovial, Chiyo is often irked and depressed by her failed attempts to improve her relationship with Nozaki. In her first effort to confess to him he mistakenly misinterpreted her confession as declaring herself as one of his fans much to her dismay. Since helping his mangaka work as an assistant, she has continued her attempts at winning his affection although her endeavors are often fruitless due to a mixture of bad luck and Nozaki's ironic lack of romanticism. Nevertheless, she does not give up and continues to work hard, something that has constantly concerned others about her borderline fixation on Nozaki.